As Jang Se Joon promised in front of his assembly of media and supporters, a thorough investigation takes place following it. The International Finance Group (IFG) Choi Yoo Jin’s uncle owns is investigated. Investigators are seen flooding into the KJG office under suspicions of corruption in the form of keeping a slush fund via the International Finance Group. Jang Se Joon offices and his home are investigated as well. The search and seizure is less invasive as the one at KJG. At Choi Yoo Jin’s house, the investigators arrive with a nice greeting at the door. The lead investigator even warn his subordinates to mind their manners and not force a search and seizure. He even allows Choi Yoo Jin to prepare the boxes of documents to be investigated. At JinHan Group (the company owned by the family of Choi Yoo Jin’s half brother, Choi Sung Won), the investigation has concerned over finding an ally in The Blue House. 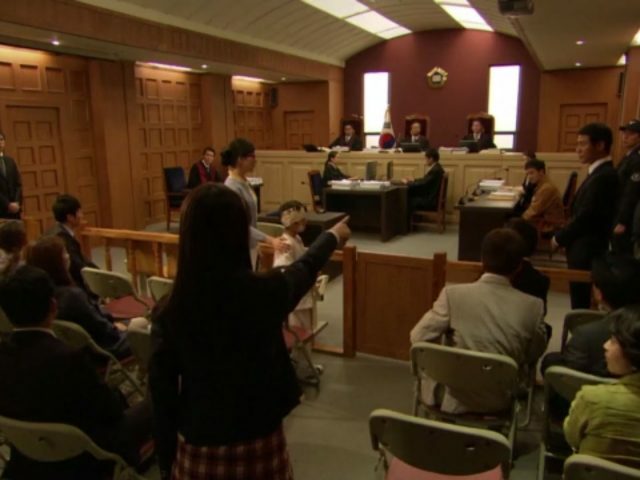 They’re not worried over being submitted to the same treatment, as apparently, she Choi Yoo Jin wouldn’t play that card. Doing so, would mean she is giving up on the election. Money to fund the presidential campaign seems to be the reason she wouldn’t attack them. However, they could be in serious danger when Jang Se Joon gets into the Blue House. That’s right, when, not if Jang Se Joon win presidency. Over at Park Kwan Soo’s side, the announcement of the investigations have not left him immune either. The International Finance Group are all Park Kwan Soo’s sponsors. Some of his fellow assemblyman are apparently being investigated. Some official named Chancellor Park who Park Kwan Soo calls to seemingly receive help resists from carrying out Park Kwan Soo’s unmentioned request. 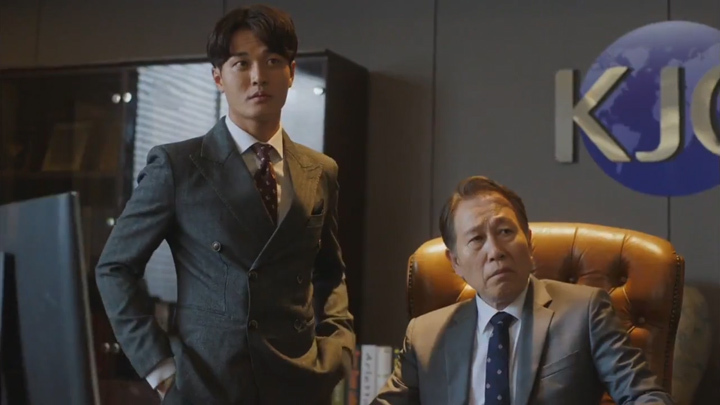 With the report from his secretary that police investigations coming up with little to indict Jang are Joon, Park Kwan Soo is forced to think about using his trump card—what it is, isn’t mentioned. Meanwhile, as the investigation is in progress, the latest upload of Ko Anna’s photo and talk amongst netizens that she might just be the angel Paul Lafelt’s searching for has Ko Anna’s existence in danger of being exposed. Talk on social networks claiming sightings of Paul Lafelt’s Angel spread. Netizen claim sightings in Seochon, Busan and Dream Forest where Kim Je Ha caused Ko Anna an allergic reaction. One netizen, a sandwich bar worker, claim a sighting at Naegak-dong. Netizens are quick to dismiss the sighting as it’s the only one at the location. But when he captures a photo of Ko Anna (and Kim Je Ha getting the door for her as her bodyguard) and uploaded online, netizens and media converge on the location. Kim Je Ha appears to have played a part in getting the media to gather at the hidden house. The netizen who took the photo didn’t go unnoticed by Kim Je Ha. When he caught him and saw the photo on his phone already uploaded, Kim Je Ha didn’t make much of a fuss about it and surprisingly let him go. Kim Je Ha had plans to have Ko Anna front the media and reveal her existence. The plan involves Song Young Choon tipping off an entertainment journalist about Ko Anna being the daughter of Ume Hye Rin. Together with the tip-off and buzz over having located the residence of Ko Anna (also known as the Barcelona Angel) at the exact address in Naegak-dong, the stage is set to have Ko Anna’s existence revealed to the world and send some power and control over to Ko Anna. 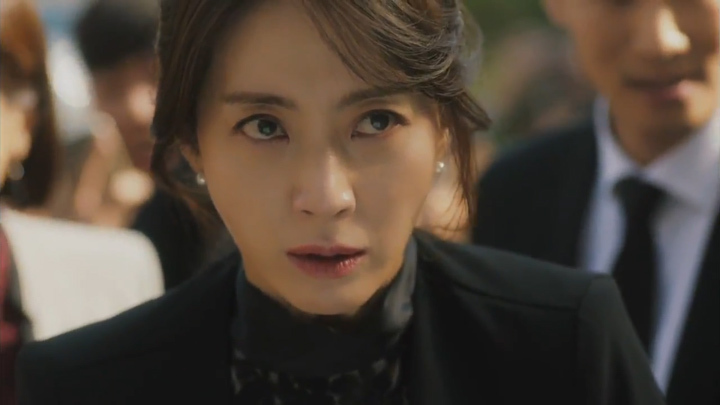 Choi Yoo Jin had planned to stop Ko Anna altogether by having snipers take her down, but Kim Je Ha, seemingly predicting such response, has them all disabled before Ko Anna’s appearance even starts. The game of “Ice and Ding” he played with Ko Anna after he learned about the netizens’ photos helped him communicate with her from his position behind each of the snipers. He was able to have her receive his instructions with a couple of hand signals from her view up in the room by the window, letting her know when it was safe to head out to the media conference. Ko Anna confirms she is the daughter of Ume Hye Rin at the media conference, but she holds back on revealing the truth about who her father is. Instead, she tells them she is the daughter of the late director, Ko Joon Ho. Choi Yoo Jin who was pleading with her eyes and shake of the head gets her wish answered. The secret of Jang Se Joon being Ko Anna’s father remains hidden, but the threat Choi Yoo Jin’s act could all be exposed remains. The sudden use of a camera flash by her secretary, Chief Kim, has Ko Anna collapse and Choi Yoo Jin unexpectedly running to her side. Not the wises move as her actions now has media wondering what her relationship is with Ko Anna. Her enemies are watching closely, too. 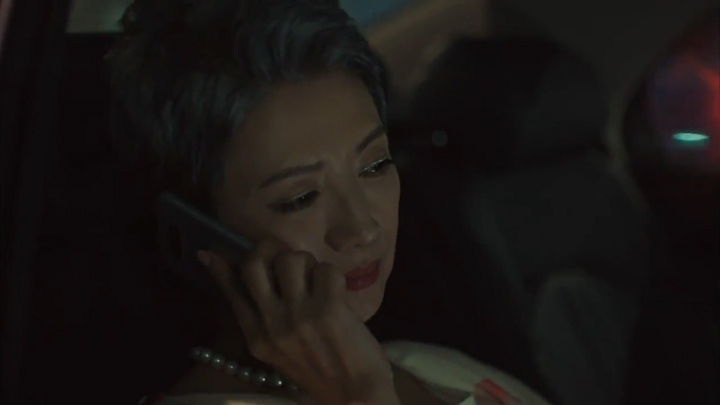 Her father’s mistress (her half-brother, Choi Sung Won’s mother), watches the report in her car. Ko Anna’s name, a curiosity to her. 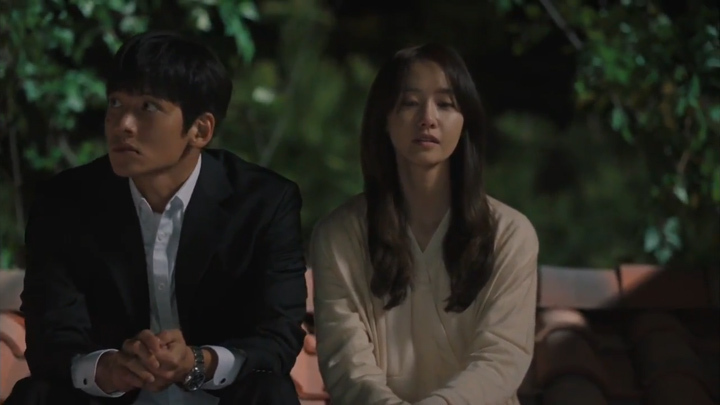 The episode draws to a close with Ko Anna and Kim Je Ha on the roof. We get a bit of Kim Je Ha lost in his thoughts from afar firstly. He recalls the time they were both on the run and ran into each other at the subway in Barcelona. He smiles when he recalls her being excited and dancing over ramyun. He also remembers her singing at that cathedral and feeding her strawberry-topped ice cream, which has his expression straighten as he is once again troubled by the thought of what could’ve happened. 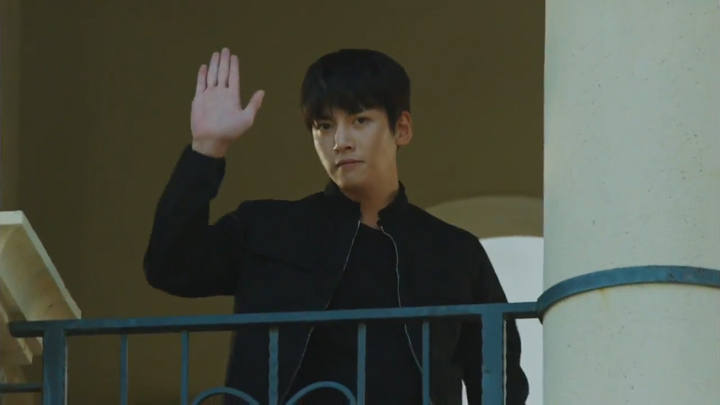 When Ko Anna almost loses her balance after deciding to get up to leave the roof, Kim Je Ha makes his presence known to her. As he fear her falling from the roof, he dashes over to her with the intention of saving her, but the normally sharp, athletic, coordinated Kim Je Ha ends up being the one in danger of falling from the roof. He doesn’t, though, but he does embarrass himself in front of Ko Anna as he lies face down on the roof. He tries to save his dignity by standing right back up and assuring her he’s not one bit hurt from the tumble. Ko Anna is doubtful and continues to question his state. Seeing, he can’t convince her and save his dignity, he turns quickly to leave her. Ko Anna calls him back, wanting him to stay, which he does. There they discuss how she is now Choi Yoo Jin’s greatest weakness and that, unlike before where Choi Yoo Jin didn’t need to be wary of her, now, she will be very wary of her because of the interest the public has in her and how one word from her could bring Choi Yoo Jin’s world crashing. He tells her that although she can now go wherever she wants and do whatever she wants, she can only continue to be this way whilst people are still interested in her. The moment people lose interest and she is left to be by herself, he suggests Choi Yoo Jin will act on the opportunity. The conversation leads to her father as Ko Anna has Kim Je Ha offer his thoughts about revealing Jang Se Joon as her father. He tells her that doing so would mean destroying her dad’s life. With that, the talk leads to the night her mother died and how Ko Anna now understood her mother’s feelings. Before her mother took those pills and died, she was drinking and sad over the broken promise Jang Se Joon made to go home to her in America. Her mother had wanted to reveal to the world that she had no interest in politics and seemingly wanted him to give up his interest in politician to go live with her in America. She, like Ko Anna, could easily ruin her dad’s life, but they both seemingly can’t do it. From here, the detail about Ko Anna giving her mother sleeping pills which lead to her mother’s suicide is confirmed. The last words from Ko Anna is that she wanted her mum to sleep and that when her dad arrives, she’d wake her mum. Her words basically gives her mum the idea to end her life. Jang Se Joon was never going to come. If she listened to her daughter’s words it means taking enough sleeping pills to ensure she never wakes up. The scene between Kim Je Ha and Ko Anna end with Ko Anna crying in Kim Je Ha’s arms. We are then taken to Park Kwan Soo. It is the morning and he’s seen with the Chief of Police (someone who’s on both Park Kwan Soo’s side and Jang Se Joon’s side according to Park Kwan Soo). 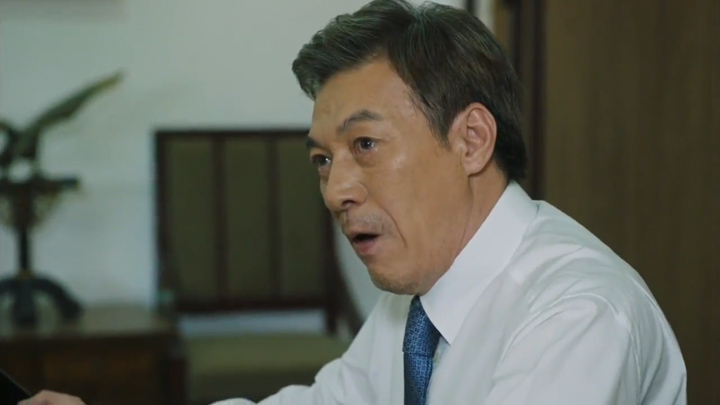 Park Kwan Soo’s had the Chief of Police look into Kim Je Ha. “A mercenary in Iraq”, “fled after killing a refugee”, “wanted man by Interpol”, “Blackstone”, “dangerous” Park Kwan Soo learns. The information has him laugh—a laugh which sounds like he knows he might be facing some issues soon. Ko Joon Ho? What’s the plan with naming the late director instead of using Ko Am Wook? The writer hasn’t even made headway in revealing the existing story and the many characters—with or without a face—now the writer’s added character name. It’s so like the writer to do this. Having so many characters, is it all necessary? We’ll have to wait and see. What about the flipping back and forth of who’s behind Ume Hye Rin’s death? Is it Ko Anna or Choi Yoo Jin? Ko Anna had blamed herself for killing her mother at the beginning when she only remembered bits and pieces of the past. When she remembered more, she was sure Choi Yoo Jin was behind things. Now, it seems Ko Anna may have had a part in her mother’s death. Her words gave her the mother the idea of sleeping forever as that was how long it would take Jang Se Joon to come see her. Will it change back to Choi Yoo Jin being behind it all? How does Ko Am Wook or Ko Joon Ho come into the story? Too many faceless characters… actually, at this point it’s just a few too many characters in general. But, we suppose that’s how a writer will ensure there will be lots to play with and the audience will be kept guessing. 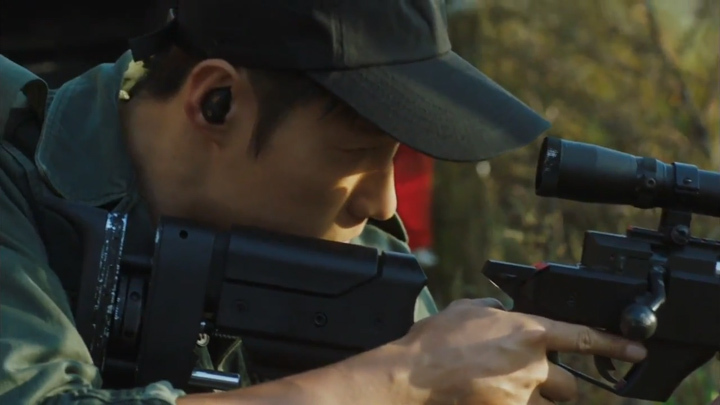 Chief Kim flashing that camera at Ko Anna and then Choi Yoo Jin rushing to Ko Anna’s side, we find that action odd. It doesn’t make sense for Choi Yoo Jin to rush to Ko Anna like that. There was no way she wouldn’t know that such actions will have the media curious about her relationship with Ko Anna. She may have the power to control the media, but what if she can’t? What if her enemies goes and investigate the relationship. It can’t be good for Choi Yoo Jin. It feels so much like a scene to move the story along by making sure it gets broadcasted so her enemies does find out. The good parts in this episode. They would have to be the scenes between Ko Anna and Kim Je Ha. The one where Kim Je Ha was playing a game of Ice and Ding with Ko Anna is so cute! The scene on the rooftop where Kim Je Ha felt flat on his face, we were a bit worried it was going to be one of those cliche scenes where he catches her and they gaze into each other’s eyes. It was a good surprise it didn’t turn out that way. It’s also nice to see Kim Je Ha be so clumsy. It makes him more like everyone else, not so great at everything, more relatable. Well, we’re half way, but it doesn’t feel like we’re anywhere near the middle of the story. There has been quite a bit developed so far, but there’s a whole lot more yet to have been developed. There are still so many characters in the story we still aren’t fully acquainted with, with more having been added. Kim Je Ha and Ko Anna, we know a bit about; but Jang Se Joon, Choi Yoo Jin, Park Kwan Soo, they’re still quite a bit of a mystery. It’s hard to trust their words, making them flip between good and bad. Having seen Yong Pal and liking that, we’re going to trust everything has its place. We’re going to trust that the vast amount of characters in The K2 will be used well and the plots will all come together in a nice exciting, complete way.